This book examines the role of mercantile networks in linking Asian economies to the global economy. 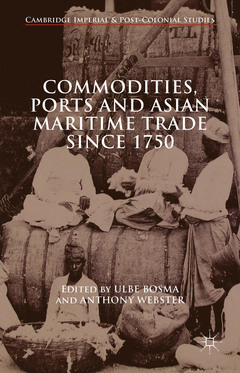 It contains fourteen contributions on East, Southeast and South Asia covering the period from 1750 to the present. Ulbe Bosma is Senior Researcher at the International Institute of Social History, the Netherlands, and Professor of International Comparative Social History at VU University, the Netherlands. His main fields of interest are the histories of labour and commodity production and international labour migration. His most recent monograph is The Sugar Plantation in India and Indonesia: Industrial Production, 1770-2010 (2013).